Two years ago the Casa Rooms concept was hatched, after assessing the market wants and developing a business plan, I have now been working on Casa Rooms property management on a full time basis for six months. I am proud to say that the process of taking a concept to a living and breathing venture has been eventful, exciting, mind-boggling at times, but definitely a lot of fun. 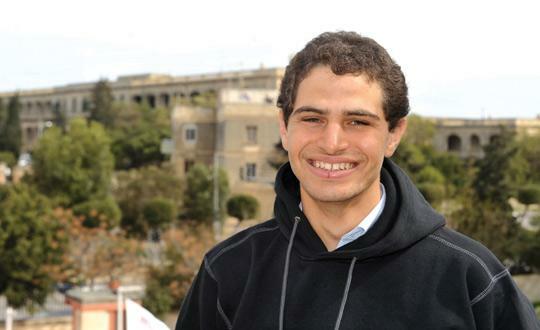 I had initially wanted to launch Casa Rooms with the business strategy that Casa Rooms will be renting properties from landlords, undertaking an initial capital expenditure to bring the properties up to Malta Tourism Authority standards, and then sub-renting them. Throughout my search to find properties fitting my stringent criteria (thanks Hugo Mamo and Cliff Arpa for all your help and patience) many landlords were reluctant to rent their properties to me based on a number of factors, such as, they did not wish for their property to be sub-leased, the fear of their property being destroyed, that I would not make rent on time, and other concerns. The landlords that did want to rent their property to me, wanted to include a provision in the agreement to raise the rent such that it was no longer profitable for me to consider their property, or wanted to be paid six months in advance, a cash situation that was out of reach for me. Having just filed my resignation from KPMG I found myself without any properties to manage, and a business model that the persons I needed to convince, the landlords, had no faith in. Thus after a number of head scratching weeks I had to change the business model from leasing and sub-leasing the property to a property management structure whereby I am earning a percentage on the revenue generated for the landlords. The property owners appreciated this model as they saw themselves being in control of their property even though it carried less risk for Casa Rooms. 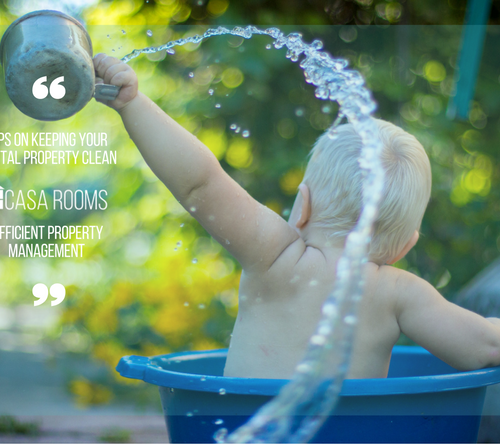 Thus Casa Rooms property management specialised in earnings maximisation of residential rental units… was born. Property owners appreciate that I am able to assist them with regularizing their property’s legal and financial position. Apart from managing the properties, issues I tend to advise the property owners with are income tax, VAT, and Malta Tourism Authority legislation. In addition each property has its own financial projections prepared including an assessment of the market rate whilst taking into consideration competing properties. The projections allow property owners to assess the profitability of their property and whether they intend to hire Casa Rooms as the property manager. 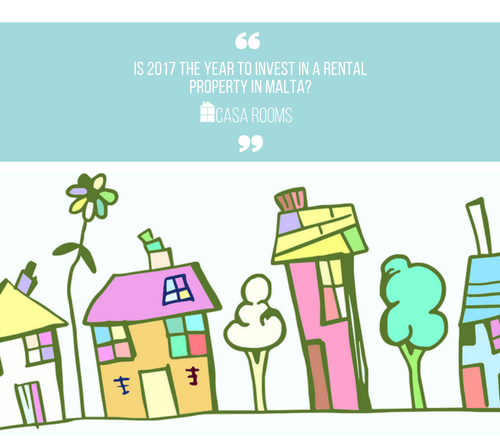 My clients are mainly Maltese property owners who reside in Malta but do not have time to manage their property and understand that through Casa Rooms property management their property is being positioned to maximize its earnings. In addition, I also have a number of foreign based clients who own local property assets. I would like to thank all my clients for entrusting me with their property, it is a true pleasure working with you and as always where you feel I can improve my service, kindly advise me. The properties forming part of my portfolio include various sizes, amenities, and views. I have been extremely lucky with some properties, such as, having a tenant renting out an apartment without even requesting the keys for the property as he then decided he prefers living in a hotel. Each property is being managed with its own property plan ranging from being rented on a shared accommodation basis, long-let, short-let and a mixture of such rental models. One of the highlights of summer 2014 was flipping an apartment that had not seen a drop of water in the last six months, from a long-let to short-let in less than 28 hours. The process included removing, multiple garbage bags, sanitizing the whole property, fixing a multitude of broken items, painting the property, photography, and welcoming the first short-let guests of the season. As part of promoting the Casa Rooms concept of earnings maximization for residential rental units, I had written an article for the Business Observer featuring the short-let rates in Malta based on different markets. A definite high for the first six months of operations! Being an entrepreneur I have found to mean that your clients are your everything from a business perspective, with any praise or concerns being directed at you. One of the huge benefits of being self-employed is being able to make my own hours, it is not that I am working less hours, in fact far from it and an 11 hour day passes in the blink of an eye. Though being able to wake up at my usual hour of five and begin working without needing to run down to the office does have its benefits. In addition, I am not constrained by a nine to five which means I often finding myself going for a run, swim, cycle in daylight hours. Healthy body, healthy mind! An accountant by profession, and having worked with a business advisory team of one of the Big Four global practice firms, Thomas began to yearn for that entrepreneurial challenge. With his number-crunching abilities and zest for research mixed with his passion for real estate, the opportunity arose to assist property Owners to maximise the return from their Properties.